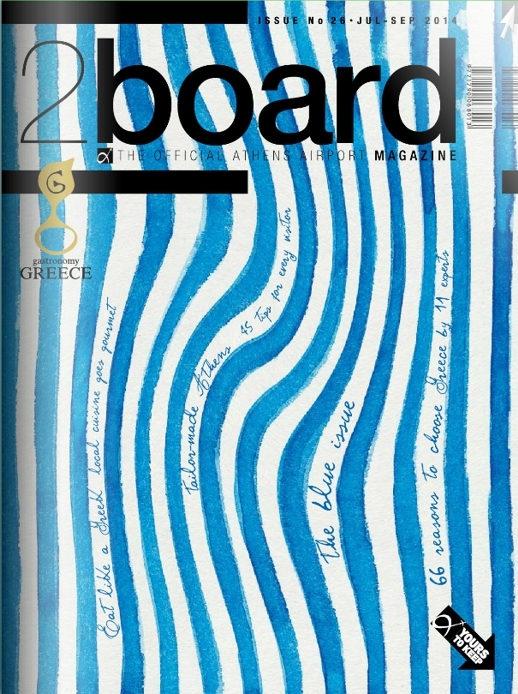 Tons of great tips: If you’re passing through Athens International Airport anytime this month, be sure to grab a copy of the July–September issue of 2board magazine while you’re in the terminal. 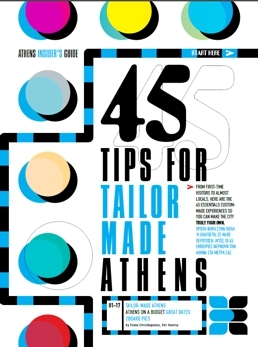 The 212-page glossy publication is packed full of useful travel tips about hotels, restaurants, and attractions at a variety of destinations — information that could come in handy during your current travels in Greece, or for planning a future holiday. 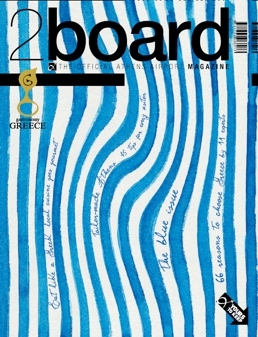 2board is the official magazine of the Athens airport. Copies are available free of charge from magazine racks situated at various locations in the terminal building. ♦ the dining room at the Grace Santorini hotel in Imerovigli. 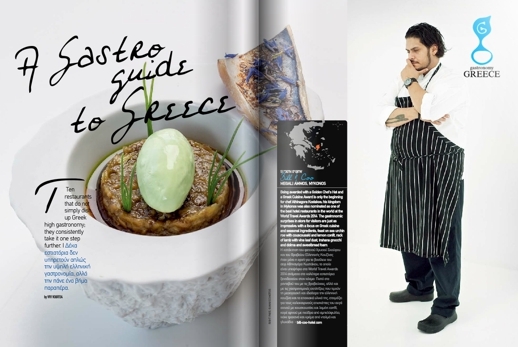 The Gastro Guide includes full-page photos of the respective restaurants’ chefs and some of their tantalizing creations, along with suggestions of signature dishes to try if you get the opportunity to dine at one of these fine establishments. A word of warning: don’t read this article on an empty stomach, because the stunning food photos and descriptions of the unique dishes will instantly make you feel hungry! 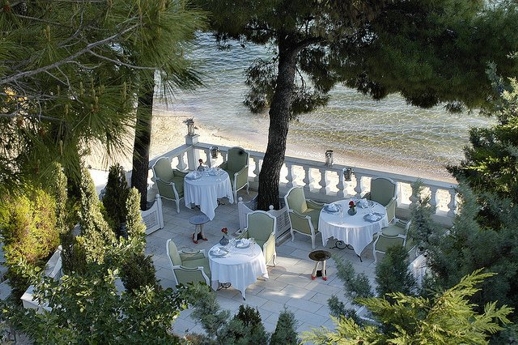 The seaside dining terrace at The Squirrel restaurant in the Danai Beach Resort & Villas in Halkidiki. The photo is from the Danai Beach Resort Facebook page. 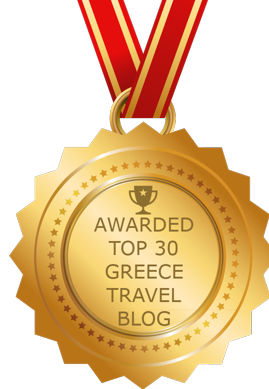 There are several options in Halkidiki, regarding accommodation. Someone can choose a hotel, a smaller unit or even a camping area. On the other hand, what is not very known to the public, is that there are several beautiful houses for rent in Halkidiki, which are available and very cheap prices. Please, check: http://www.halkidikiproperties.com for a wide variety of houses.